At BelarusDent were demonstrated the latest developments in dental treatment, state-of-the-art technologies, equipment and materials, latest research results, share experience and promote cooperation among dentists from different countries. 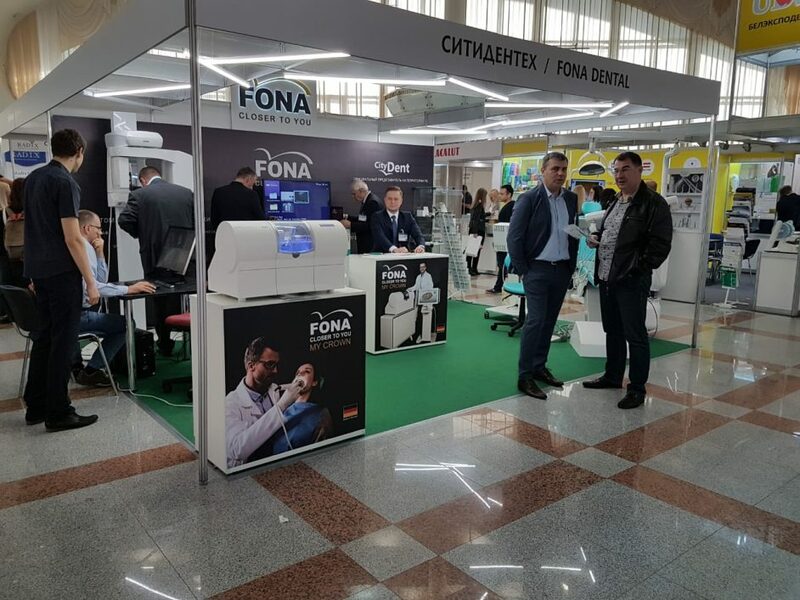 Belarus Dent Conference provided an opportunity for dentists, dental technicians, managers and specialists of dental clinics, manufacturers and suppliers of dental products to discuss the latest achievements, establish business contacts and to enhance their professional level. The Forum included panel meetings to discuss to the most topical issues of dentistry, master-classes, practical demonstrations and presentations of latest developments in the dental industry. FONA representatives and products took part in Belarusdent too. 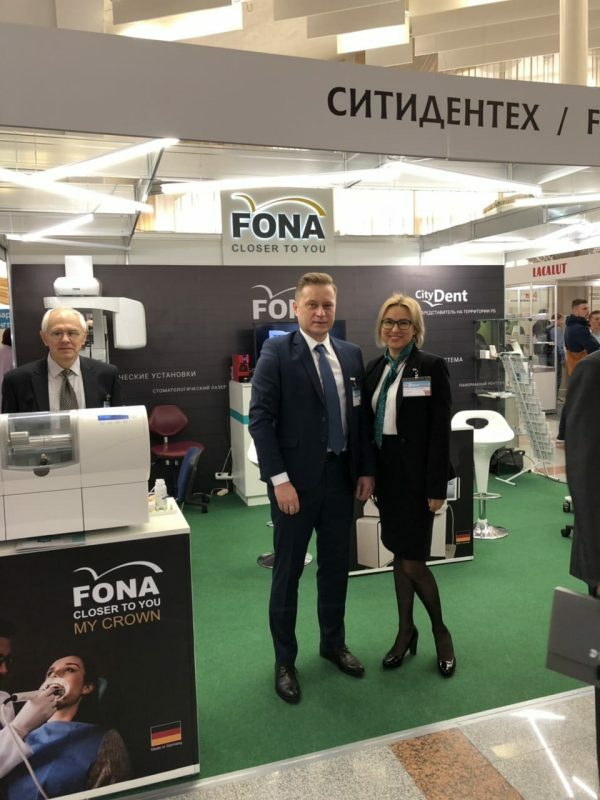 FONA presented together with our partner CityDent the following products: FONA 1000 treatment unit, FONALaser, CDR Elite sensor, Stellaris 3D and MyCrown – our chairside CAD CAM system. Our integrated CAD/CAM system, MyCrown, was one of the most popular attractions on the booth, along with multiple fields of view extraoral system, Stellaris 3D. Exhibition was followed the first day by an evening gathering of FONA end-users organized by our partner CityDent. We had a great interest on MyCrown during the exhibition and also interest for end user training that will be be held in December 2018 with our reference dentist and Innovation club memeber Dr. Oxana Nadyonova.